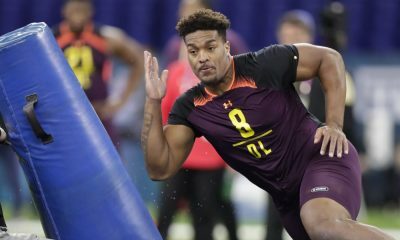 The NFL recognizes the challenges of having a new coach and tries to level the playing field, at least a little bit, by allowing an early start to the offseason program and another minicamp. So Freddie Kitchens and his new coaching staff will greet the players for the first time formally Monday morning. 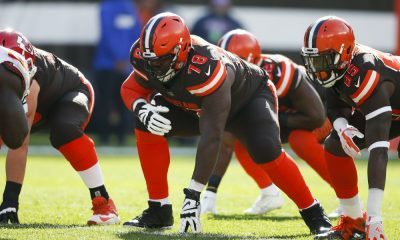 While the real games don’t start until September, pads can’t be worn until late July and on-field workouts are still a couple of weeks away, the return of the players to Browns headquarters signifies the start of a new season. 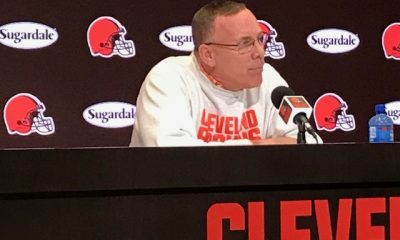 The team hasn’t been together since the day after the season ended Dec. 30 in Baltimore, and never with Kitchens as head coach after his unlikely rise from running backs coach/associate head coach. “Y’all ready?” tight end David Njoku tweeted Sunday. 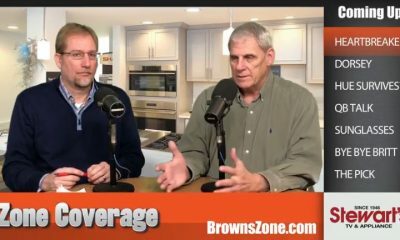 Browns fans have been for a while. Here are five people who will be in the spotlight over the next couple of months as the preparation begins for what has the potential to be a thrilling season. 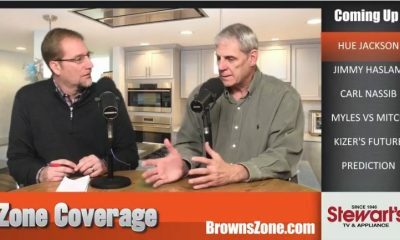 The blockbuster trade was agreed to March 12, announced March 13 and finalized when the Browns sent someone from the medical staff to Beckham to administer a physical. The three-time Pro Bowl receiver has texted, tweeted and posted on Instagram since the deal, but he’s yet to meet with Kitchens or talk to reporters. 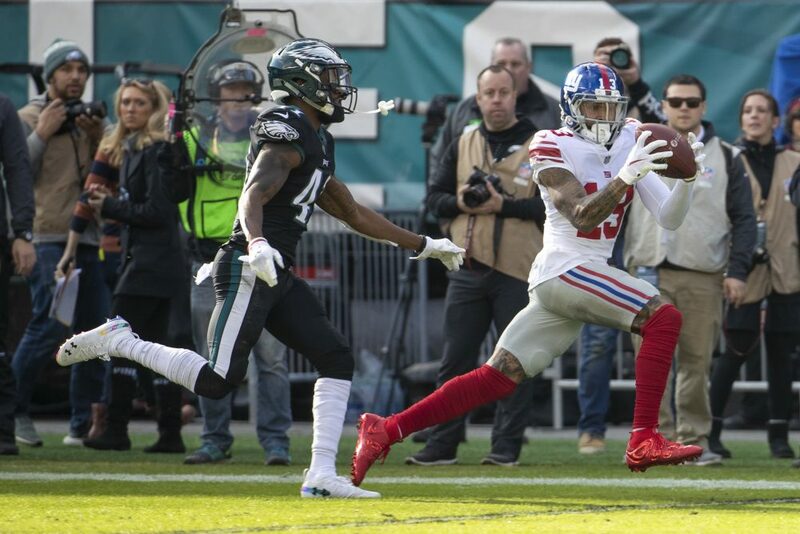 There are a million questions to ask Beckham, who posted he had “mixed emotions” following the trade after five years with the New York Giants. 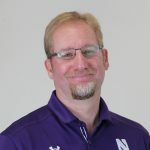 Has he embraced the huge life change? 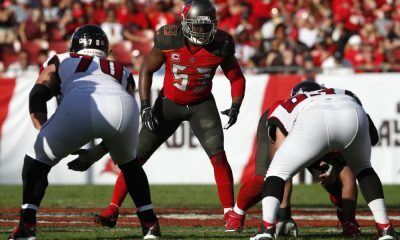 Will he demand a restructured contract? 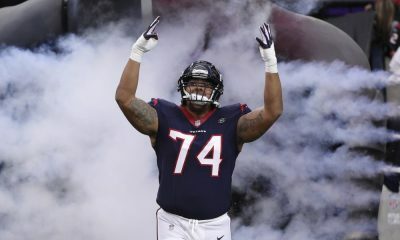 How much of the offseason program will he attend? What’s it like to be reunited with receiver Jarvis Landry and receivers coach Adam Henry? How close is he with Baker Mayfield? 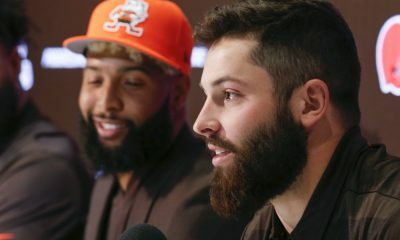 Mayfield may be the most popular Browns player in Northeast Ohio, but Beckham dwarfs him among the rest of the world. 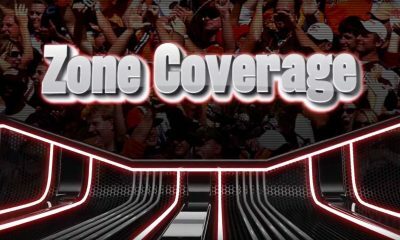 So all eyes, cameras and microphones will be on him whenever he’s around … and that’s before he ever steps foot on a field. 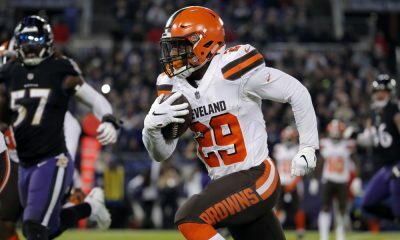 He’s been in Browns headquarters since even before he was signed Feb. 11 and will finally be joined by his new teammates. 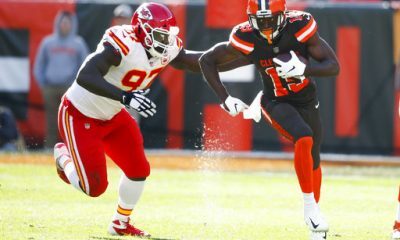 Owners Dee and Jimmy Haslam, general manager John Dorsey and Kitchens have said Hunt is doing all the right things, and he must continue as the Browns have declared a zero-tolerance policy following a pair of off-field altercations that got him cut by the Chiefs and drew an eight-game suspension from the NFL. 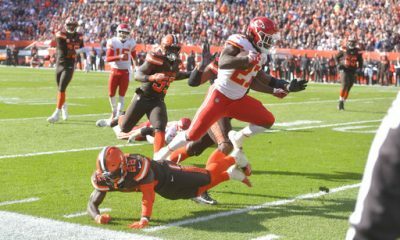 Hunt, who led the league in rushing as a rookie in 2017, was cut by the Chiefs on Nov. 30 when a video was released of him pushing and kicking a woman. So he must be looking forward to getting back into the routine of football, even if it’s the laid-back offseason program. He won’t be eligible to play until the ninth game but can practice and pla through the preseason. It will be interesting to see how much the coaches rely on him when he returns. 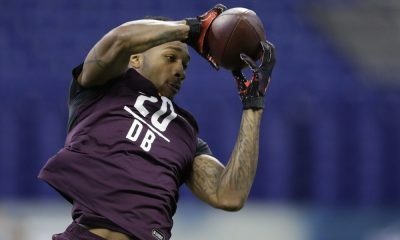 He’s a huge threat as a receiver and can dominate a game plan if he’s back to normal. 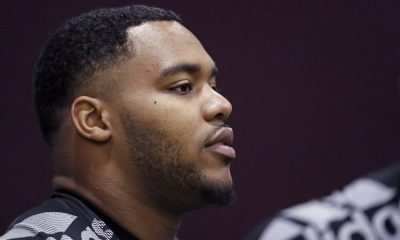 Hunt isn’t expected to talk to reporters Monday, so his reaction to being given a second chance by the hometown team will have to wait. General managers and coaches say all the time that the biggest jump made by a player comes in Year 2. 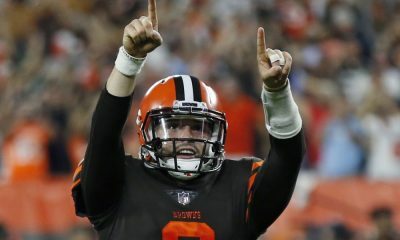 If that’s true for Mayfield, the Browns will snap their 16-season playoff drought. 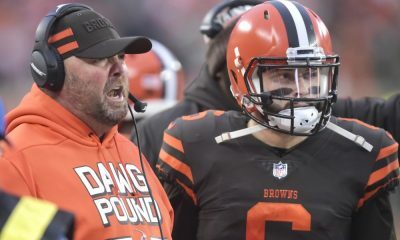 Kitchens told Mayfield to take time away from football after the season, and Mayfield obliged. But last week he posted a shirtless workout video and looked in good shape. 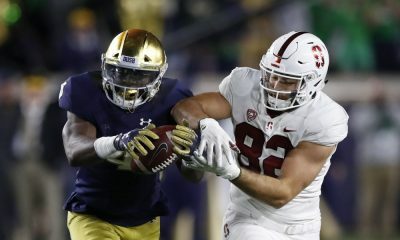 Mayfield already had a ton of pressure on him after winning the Heisman Trophy, being the No. 1 pick and setting an NFL rookie record with 27 touchdown passes. Then Dorsey signed Hunt and traded for Beckham, surrounding Mayfield with even more talent. 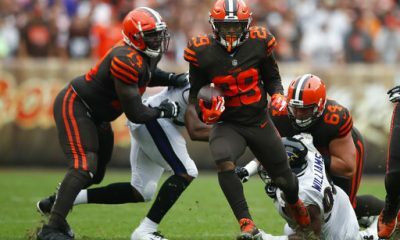 No one in Browns Town wants to think about it, but Mayfield can’t leave himself susceptible to a sophomore slump. Vince Young, Derek Carr, Robert Griffin III, Sam Bradford and Dak Prescott had impressive rookie years, only to have their performances level off or fall off a cliff. 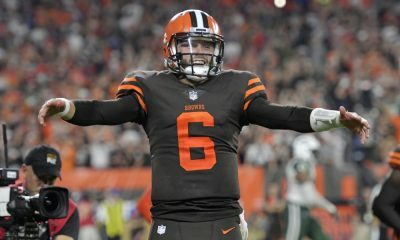 Mayfield’s career won’t be defined by 2019, but he could make quite a statement with a strong second season. He tried to deflect the pressure that intensified with the addition of Beckham. That’s a great answer, but it doesn’t diminish the focus on Kitchens and the great expectations he inherited. 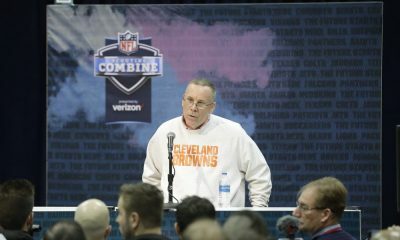 He’s never been a coach before and is expected to win immediately, unlike just about every Browns coach to precede him. 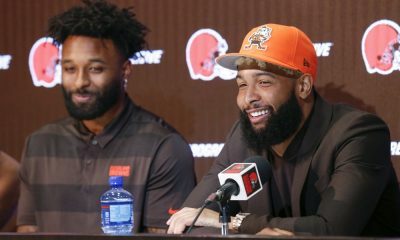 Beckham and Mayfield are just two of the huge personalities he must handle. 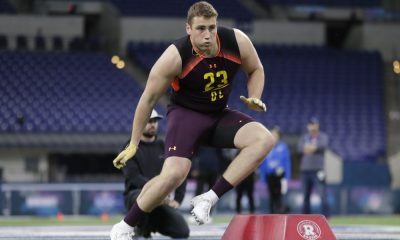 The Haslams and Dorsey believe Kitchens has the perfect personality for the challenge. Whether he does will now truly begin to reveal itself. 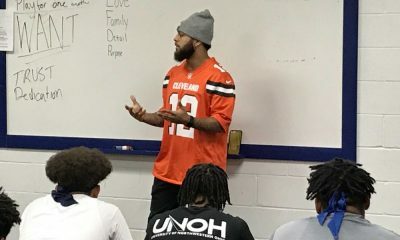 If Instagram tells an accurate story, the Browns’ 2017 player of the year spent the offseason learning to cook. He added a bowling video over the weekend. 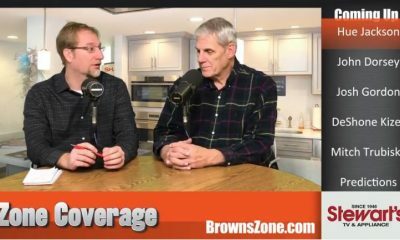 If Johnson is worried about his uncertain future with the Browns — Hunt’s acquisition makes a trade possible — he’s not letting on. Johnson is an independent thinker, so it will be interesting to see how he handles his situation. 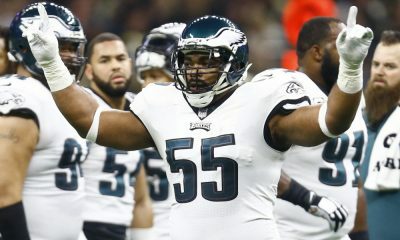 Will he show up for the offseason program? If he does, will he pout? Will he ask for a trade? 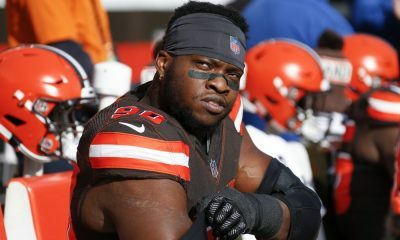 Defensive end Emmanuel Ogbah is in a similar situation after the trade for Olivier Vernon but doesn’t have the same leverage or resume as Johnson.